Nightlife in York goes on until the early hours of the next day. There are many places to meet friends, socialise and dance. 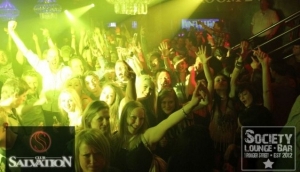 The Gallery Nightclub is York's Largest club with two floors for dancing and a VIP lounge. The Gallery is York's biggest (and probably most renowned) nightclub and it is known to cater for both students and adults from the 18-to-35-year age range in-particular.